Fran Stephenson, APR has more than 25 years’ experience in communications, marketing and public relations. Her firm focuses on strategic communications plans and is noted for its expertise in influencer outreach, social media strategy, channel management and measurement for clients in hospitality, tourism and health care. Previously, she was director of corporate communications for Rackspace Hosting and director of communications for SeaWorld San Antonio. 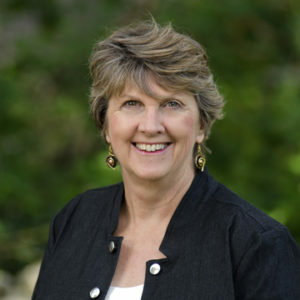 She speaks frequently on crisis preparation and crisis response, including workshops for the annual Texas Travel College, an accreditation program of the Texas Travel Industry Association. Fran has won numerous industry awards for campaigns and tactics, including a Silver Anvil from The Public Relations Society of America (PRSA), a Gold Adrian Award from HSMAI, and Professional of the Year by the PRSA San Antonio Chapter. Fran holds a Master’s Degree in Communications Studies from St. Mary’s University and a Bachelor’s Degree in Consumer Science from Miami University in Oxford, Ohio. She has served in many community and industry associations including the board of PRSA San Antonio and Guide Dogs of Texas. She is an adjunct faculty member at Northwest Vista College.